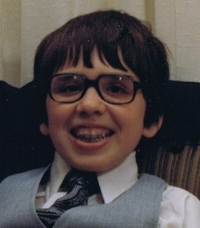 When I was 13, I was an awkward, nerdy kid who was uncomfortable with myself and nervous in almost all social situations, especially with girls. When you look like that at age 13, you either learn to communicate or else you get beat up a lot. Luckily, I learned to communicate. Eventually, the braces came off and I got a better haircut and contact lenses. 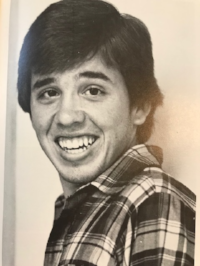 By age 16, I was a championship member of my high school speech team. At 18, I gave the graduation speech for my high school class in front of almost 4000 people in an outdoor amphitheater. I’ve spent the last 30 years as a college professor, researcher, and consultant, teaching communication theory and communication skills to thousands of students and professionals. I am still an active social science researcher with more than 100 peer-reviewed publications, and more than $20 million in research grant funding. My story shows that by improving your communication skills, is possible to make a dramatic personal transformation in your own life, and I can help. In a series of one-on-one coaching calls, we can work together to identify the most promising areas for growth and development, and then I will coach you through practical, real-life exercises as you master these new skills. One-on-One Coaching with Bruce L. Lambert, Ph.D. I am now offering one-on-one coaching for highly motivated communicators who want to make dramatic improvements in their communication skills and are ready to make the investment needed to achieve big goals. Have greater confidence in your communication skills. Write better, more effective emails at work. Be seen as a dynamic, effective public speaker. Have deeper, more rewarding conversations with friends and family. Master principles that allow you to communicate more effectively in all situations. Be more persuasive. Get your ideas heard and acted on. Sell more. Overcome loneliness by becoming a better listener. Know how to handle difficult conversations. Say what needs to be said and still maintain your relationships. Project the self-image that you want to project. Get that promotion at work. The first step is to complete the application questionnaire. I only have the time to take on a small number of coaching clients. The questionnaire allows me to assess whether we are a good fit, and whether you have the mindset and are in the right circumstances to succeed in this type of program. After I review your questionnaire, we will set up a 30 minute call to discuss your goals and the way the program works. In a series of phone and video-conferences, we will work together to identify your goals, strengths, and weaknesses. Then we will do exercises that will let you overcome your communication challenges, produce more effective and empathetic messages, master difficult conversations, and develop routines and checklists allow you to sustain and build on your improvements over the long term. Your coaching program is custom-designed just for you, based on the consultation call.